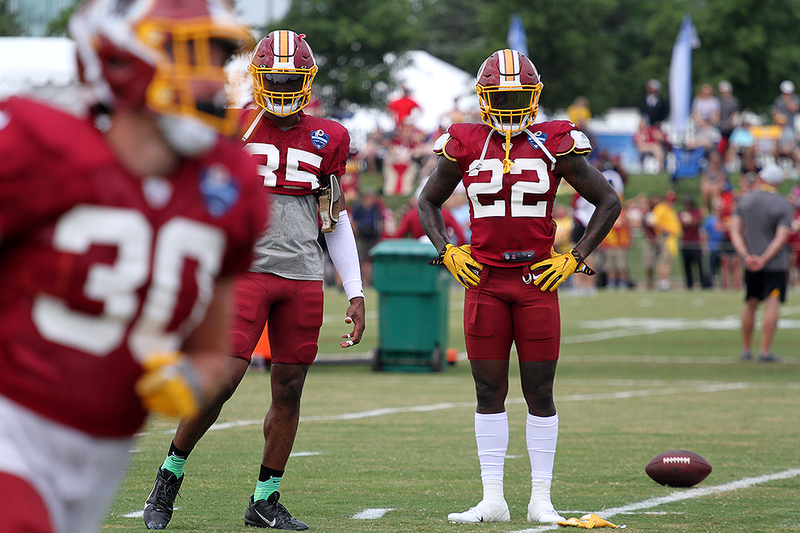 Welcome back to your home of Redskins Training Camp 2018 coverage – the Redskins Capital Connection podcast. Day four today and the players were in full pads for the first time this year, and that meant the hits were harder and louder. It truly does sound like football is back! The theme of today’s discussion is all about the Safety position for the Washington Redskins. Hosts Chad Ryan, Mark Phillips and Chip Brierre sit down 1-on-1 with Safety Deshazor Everett after a practice session this morning that saw the Safeties on the roster talking a lot of trash to the offense. It started with DJ Swearinger but rest assured Montae Nicholson and Everett got just as involved as well. You’ll also hear Chad talk to Troy Apke about playing Safety opposite Deshazor Everett, as well as Swearinger and Jay Gruden talking about how exciting and how important it is to be going into 2018 with the same starting Safety tandem that the Redskins had last season – the first time that’s ever occurred in Gruden’s time with the Redskins! All that and a lot of laughs on a great episode of RCC from day four of camp!